Tuberculosis remains a major health problem.It is a nasty disease that can affect all ages and commonly leads to months of severe coughing, with night sweats, weight loss,.disability and death. The good news is that if found it can be treated, and if treated for months with multiple anti-tuberculous medicines it can be cured.It requires meticulous contact tracing and follow up of cases. Murambinda has benefited greatly from the help and support of TBAlert a UK charity. 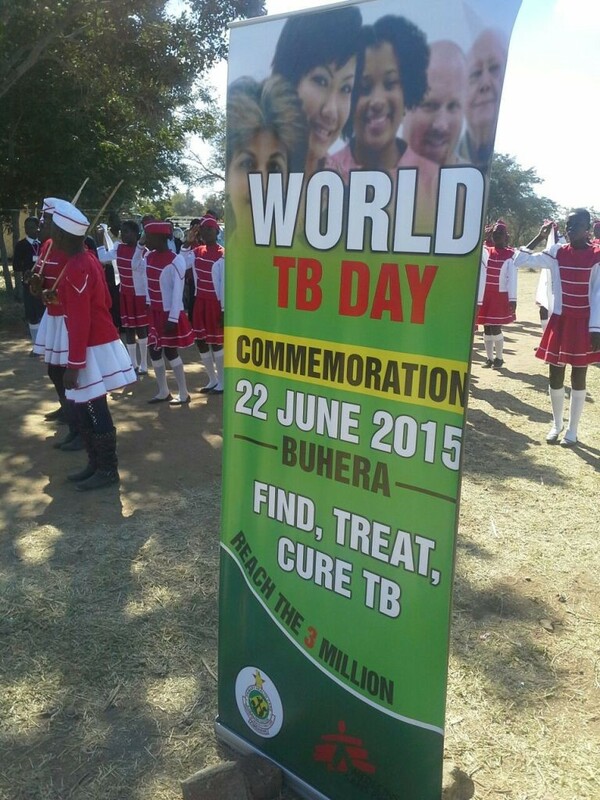 It helped decentralise TB detection and treatment from Murambinda Mission Hospital to rural clinics. Sadly TBALert is unable to continue to support work at Murambinda. THis will lead to extra strain on the hospital’s staff. Please do what you can to donate to Murambinda continue the struggle against TB..
MSF held a farewell party at Murambinda to mark their exit from Murambinda and the District. MSF closed their offices in Murambinda and have since moved to Mutare. MMH and MSF signed an MOU which runs to end of year 2015 but has since reduced their contributions towards allowances and running costs including salaries for supplementary staff at MMH. Pharmacy, blood and fuel costs support has been reduced. These three are the main running costs which we can not do without. In addition some staff pay has also been reduced .The hospital has increased and stepped up user fees collection but due to economic challenges it is not able to collect enough to cover for all running costs. Please be generous, could you do organise a fundraising event via our MyDonate fundraising page? A new trophy for Midwifery students has been donated through the Friends of Murambinda Hospital. Here it is being proudly displayed at the prize giving event at Murambinda Mission Hospital in June. 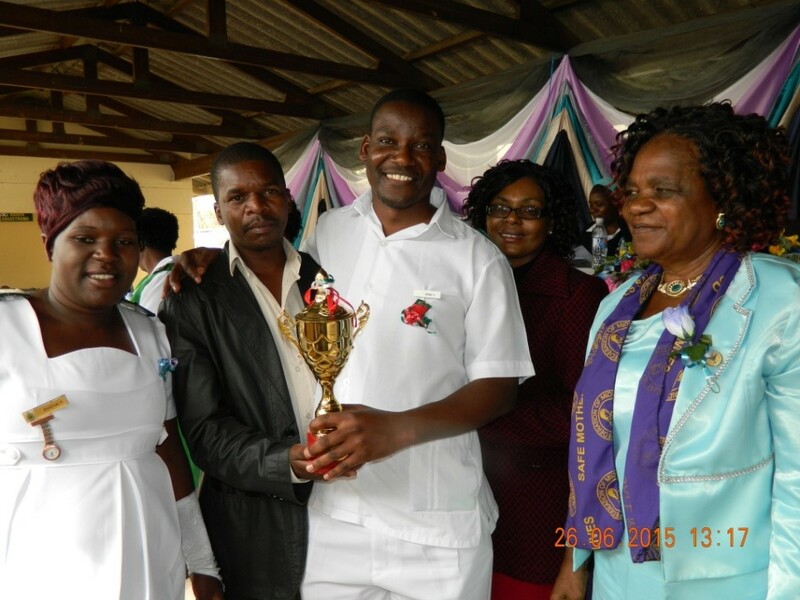 Murambinda school of midwifery continue to produce good results for state final exams , this year it acheived a 100 percent pass rate and had the second highest mark in the country and got a silver medal.